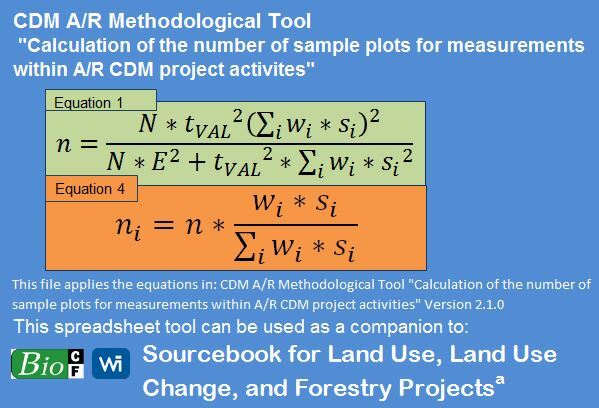 This spreadsheet tool calculates the number of sample plots needed to estimate terrestrial carbon stocks, based on a specified targeted precision. It can be used for both baseline and monitoring measurements. This tool is appropriate for use in afforestation/reforestation projects with defined strata and stratum areas. This tool also assists the user to estimate the financial and time resources that will be required to complete the field measurements.